A micro-pearl liquid highlighter for all-over skin glow, Master Strobing Liquid adds dimension and enhances facial features in a single sweep. Magic comes in many forms. Whether it’s adding subtle sheen with a highlighter stick or mastering the unicorn makeup look — make skin glow with Maybelline’s line of face highlighters, bright lip colors and strobing makeup essentials. And, no more waiting: Master Fairy Highlight™ has finally arrived on shelves. This all-in-one rainbow highlighter is our newest holographic highlighter palette, perfect for brushing on a touch of iridescence or playing with the season’s most magical makeup trends. It’s a charmed life. Summer seventeen is about the bright, bold and magical. 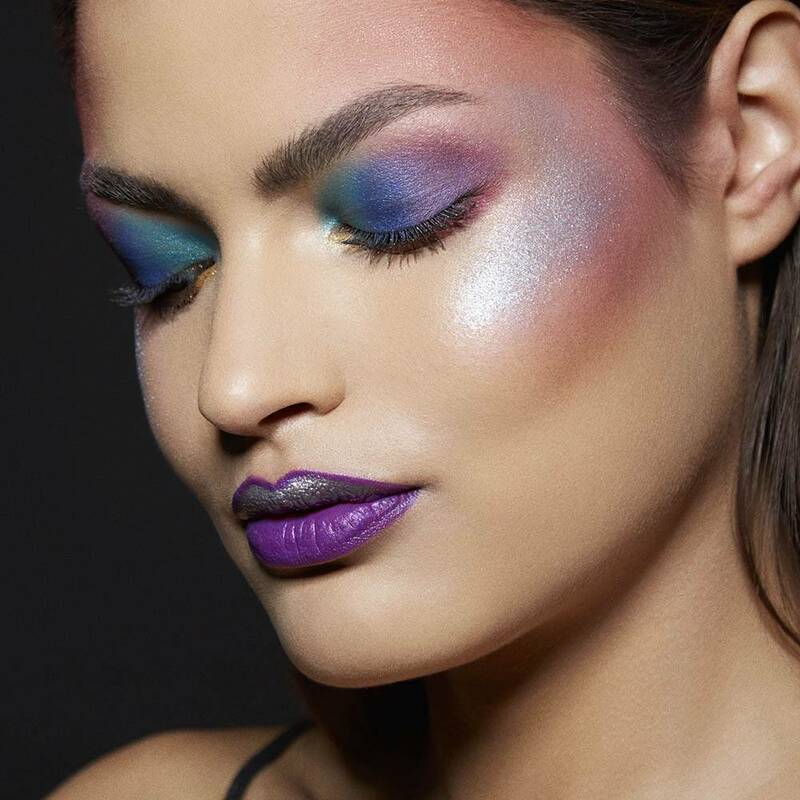 Discover glowing makeup looks of the moment. How to highlight like an expert. How to apply cushion liquid foundation for high-gloss, fresh glowing skin. Festival Makeup Look. Glimmer every which way. Strobing Makeup. Sculpt with ease.